Satchidananda Ashram-Yogaville was founded by Sri Swami Satchidananda (Sri Gurudev), an esteemed spiritual leader whose message of peace has been heard around the globe. Honored with the Albert Schweitzer Humanitarian Award, Sri Gurudev dedicated his life to the cause of peace – both individual and universal – and to religious harmony among all people. 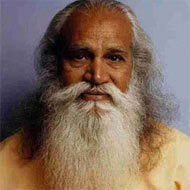 His teachings are the Ashram’s guiding principles.